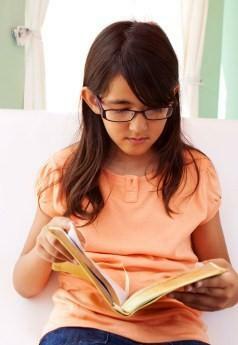 By 4th grade, chapter books should be part of a child's regular reading repertoire. Students can really dig into longer books, explore and think about characters and themes, and really start to embrace reading as a past time at this age. At some point during the 4th grade year, you're going to want to read all of these great 4th grade chapter books. From zany characters to just plain fun adventures, let these chapter books open up a new world for your students. Flat Stanley by Jeff M. Brown is about a boy who is flattened by a bulletin board. As a result of being flattened, he is able to have all sorts of adventures that he couldn't have before. Students reading this might want to join the Flat Stanley Project where they create a flat paper doll and then exchange the "flats" with other students. Eleven by Lauren Myracle is a cleverly laid out book about the year that the main character turns eleven. Surviving eleven is something to which every 4th grade girl can relate. Award winning author Gary Paulsen delivers a delightfully funny story in Lawn Boy when what was supposed to be a summer job turns into a whole lot more. Skellig by David Almond is truly a tale of friendship. While the story is a bit on the sad side, children will still love the magical world of Skellig. Elephant Run by Roland Smith is definitely a book for your more mature 4th graders. It is of the realistic fiction genre and explores the long reaching consequences of WWII through the jungles of Burma. The Story of the Amulet by Elizabeth Nesbit is one of those great tales that weaves history and the present making for some wild adventures. This book is great too because it explores the idea of getting everything you think you want, and whether or not that's always a good thing. Students will love following the adventures of Penny, the main character, in this realistic fiction novel. The Cupcake Queen by Heather Helper is a great addition to your library as its easily relatable. Daniel's Walk by Michael Spooner is the adventurous tale of Michael, who heads out into the wilderness to find his father. The book is set in 1844 and Michael has to face many dangers - making this an appealing read for boys in particular. Beverly Cleary has yet again created a character in Ellen that children will be embracing for generations. This book is sure to please even your pickiest readers. The Lotus Seed by Sherry Garland is a poignant coming of age story about the importance of family heritage. This is a great classroom read with lots of possibilities for further study. Surrounded by exceptionally talented people, Chase, (the main character in The Winner's Walk by Nancy Ruth Patterson), seeks to find his own special talent. The great thing about literature geared for this age group is that it is generally very engaging; mixing elements of realism along with the fantastic for an experience that delights a variety of readers. Remember, the key to encouraging your 4th graders to read more, is to provide a variety of styles and levels so that everyone can enjoy chapters books - from the struggling reader to the more advanced student.